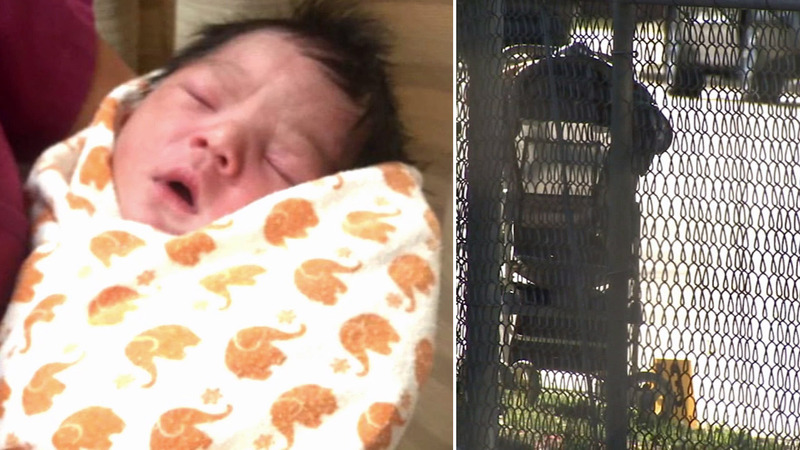 LOS ANGELES -- Authorities arrested a mother suspected of leaving her newborn baby with his umbilical cord still attached in a stroller near a church in South Los Angeles. Belen Ramirez, 20, was arrested shortly after midnight Saturday. She was booked into jail on suspicion of child endangerment and is held in lieu of $100,000 bail. Authorities were searching for the mother after the infant was found abandoned across the street from St. Agnes Catholic Church Tuesday. A man walking with his two sons around 12:30 p.m. found the baby and notified police. The infant was taken to California Hospital Medical Center and officials determined he was in serious condition. By Wednesday morning, the child was eating, receiving IV fluids and was doing well.